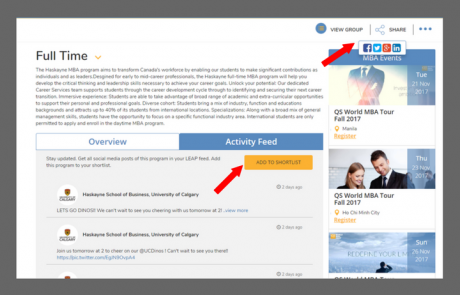 Boost your web visibility with our student platforms, growing fast at +30% a year and holding top organic search presence across 70,000 industry keywords. 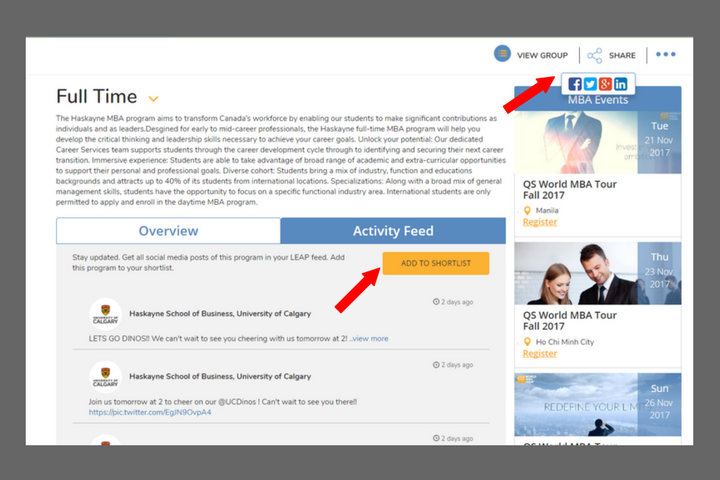 Take advantage of our 20+ Advance Profile features and engagement options to showcase your unique capabilities, and enable prospects to contact you with a click of a button. 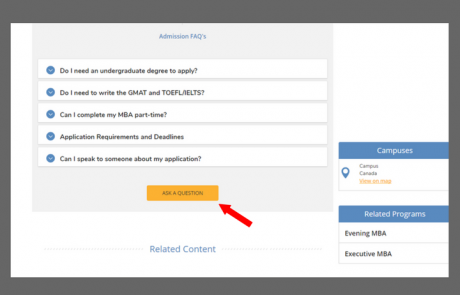 Shorten student application cycles and accelerate enrollment process by engaging MBA hopefuls at the right time – when they are ready to apply and make a choice. 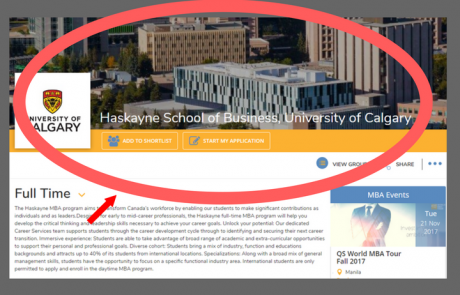 Add your Business School’s logo, rankings, and accreditation information and drive more interest and applications along the way. Enjoy 24×7 access to your content. 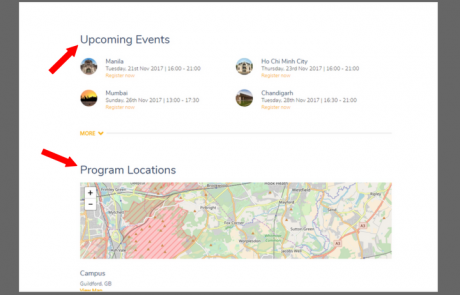 Login to our online portal from anywhere and add or update videos, images, and texts using our user-friendly dashboard. 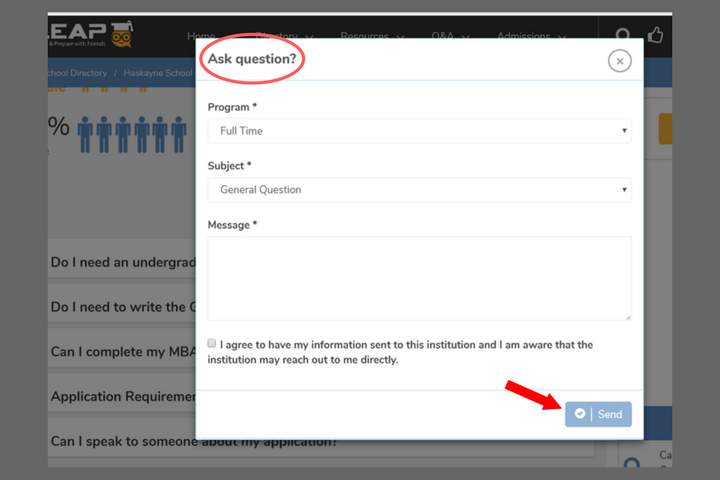 Provide prospective students with all the info they need to shortlist your institution, including required tests and test scores, as well as admission dates, fees and more. 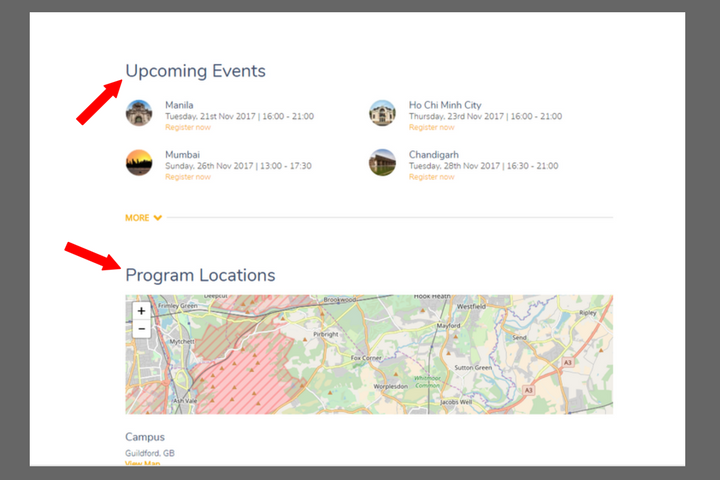 Run online webinars, organize virtual meetings, respond to prospects who shortlisted you or expressed interest in your organization, and drive engagement. 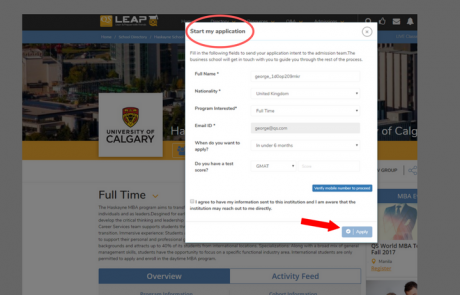 From your profile, you can include a start application/ visit website tab, ensuring those who are ready to enroll in your institution, can do so within seconds. 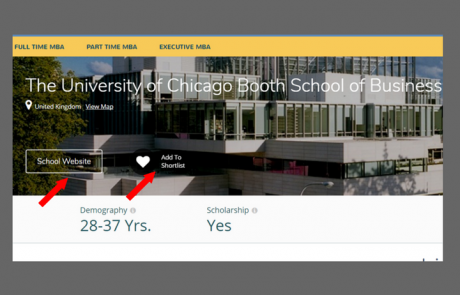 Enable interested candidates to access your updates and study groups, as well as “pin” your institution on their personal dashboards at the push of a button. 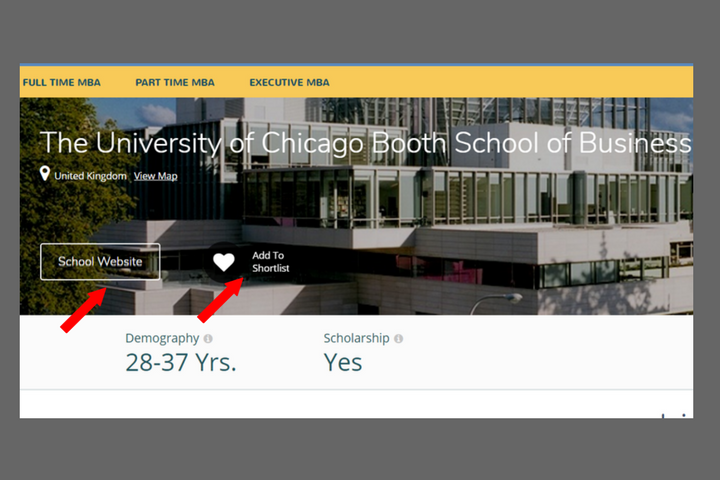 Watch your institution’s Google rankings climb when you create an advanced profile on TopMBA.com. 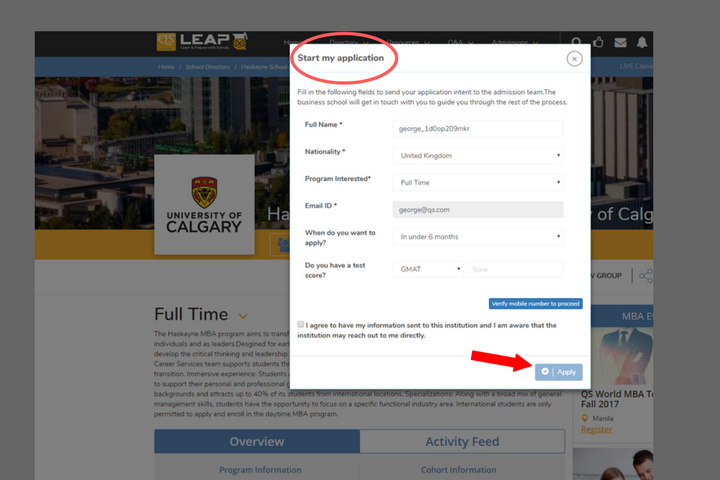 See your lead numbers grow when you leverage all of the engagement features that QSLEAP offers. 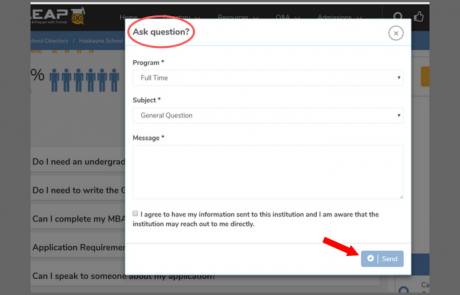 Speak to a QS representative today to learn how your institution can take advantage of webinars, virtual interviews, inquiry generation and one-to-one virtual meetings. 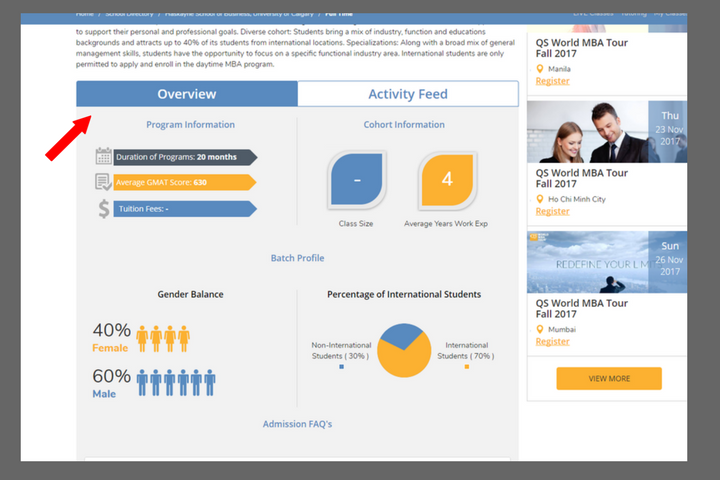 8.3 million visits coming from key audience geographies, including US, India, United Kingdom, Canada, Brazil and more. 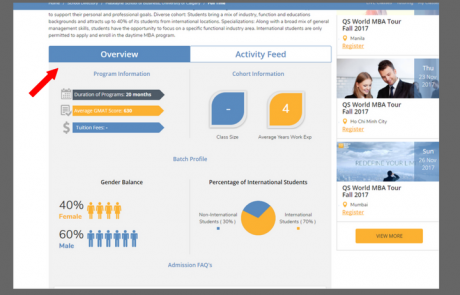 Personalized TopMBA/ QSLEAP interactive features that help them prepare for admissions tests and get in contact with admissions teams at the click of a button. 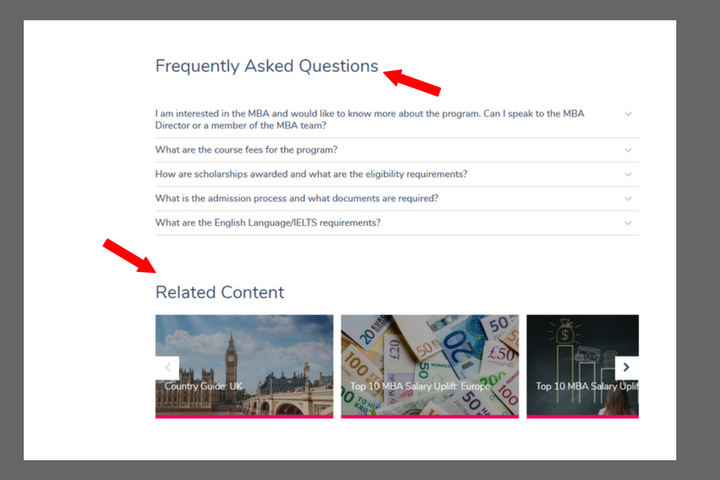 Onboarding and guidelines –0ne of our TopMBA/QSLEAP experts will host a demonstration, walking your team through all necessary specifications, guidelines, and deadlines for setting up your Advanced Profile. 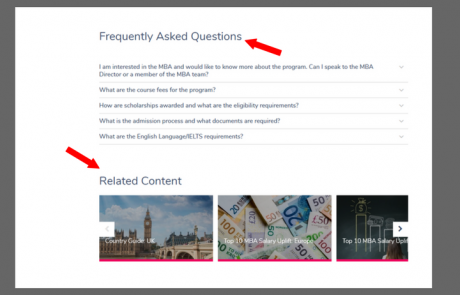 Your team will also be provided with the full version of our user guide, in addition to access to our TopMBA/QSLEAP support team.